There are probably members of the British royal family that are guarded less closely than the Game of Thrones scripts, but a new alleged leak is turning the internet into a minefield for fans. Yes, we have the link; no, we won't tell you anything from it. If you really can't wait until the show airs in 2019, you can click below. The leak appears to offer up a page of Episode 3, two from Episode 5, and a page of Episode 6. Of course, we don't know how legitimate they are, and HBO obviously isn't going to confirm or deny if they're real. The script pages do contain major plot points though, and are certainly enough to substantially spoil the final season for you. Proceed with caution. 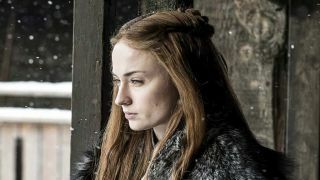 The leak comes just as HBO has confirmed what we all feared: we're not getting any more Starks or Lannisters this year. Whether or not that has anything to do with these pages appearing we'll never know, but if you ever wanted to troll the Game of Thrones fanbase, this is certainly when we're at our most vulnerable. HBO has said it will be filming and scripting multiple endings to confuse leakers, so even if these pages did come from HBO, or a set, or the set caterer's trash can, they still might not reveal anything from the final season. That's what I'm telling myself as I attempt to repress all memory of the spoilers before 2019.